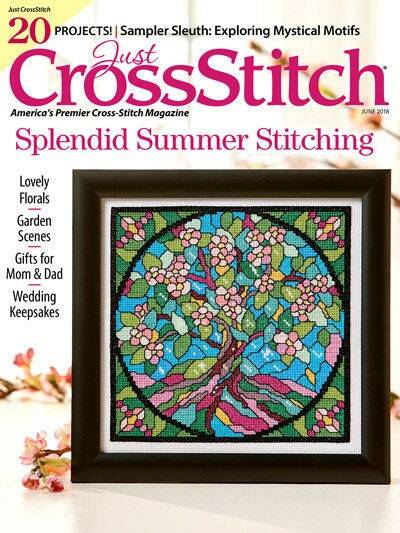 Celebrate the arrival of summer with this issue of Just CrossStitch, chock-full of stitching projects for Mother's Day and Father's Day, weddings, the Fourth of July and so much more! 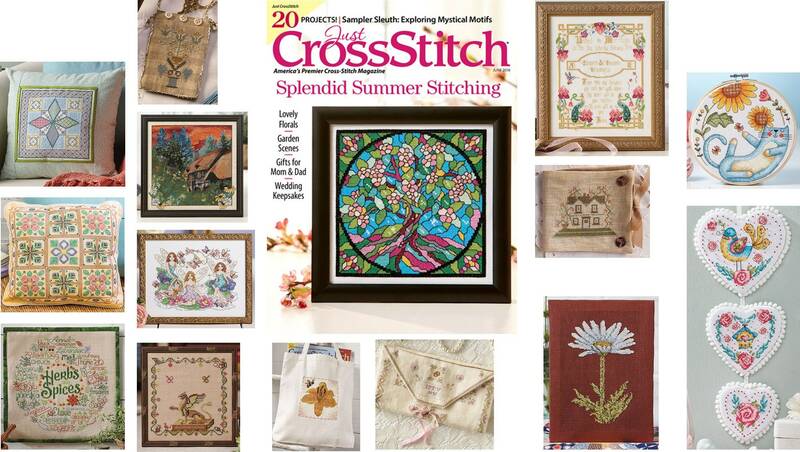 * Enjoy a bountiful collection of fresh-picked designs that any stitcher would be proud to have grace her garden, such as Tree of Life with its colorful stained-glass look and Sweet Garden with its showcase of pretty posy motifs. * Relax in the summer sun with Snoozing in Sunshine, featuring a garden kitten napping under sunflowers. * Take your stitching on-the-go with the Golden Flower Tote -- the perfect summertime accessory! Plus, you won't want to miss our regular Favorite Finds product reviews, Designer Q&A and Sampler Sleuth, who in this issue delves into the history behind mystical motifs.